The 2016 edition of Parcours will be sited in the historical center of Basel around the city’s iconic cathedral, inhabiting locations such as the cathedral’s chapel, Münsterplatz, the Museum of Culture, an underground tunnel below the Grand Hotel Les Trois Rois and historic locations along the river Rhine. Curated for the first time by Samuel Leuenberger, Director and Curator of SALTS in Birsfelden, Switzerland, this year’s edition will feature 19 site-specific artworks by both internationally renowned and emerging artists: Trisha Baga, Daniel Gustav Cramer, Andrew Dadson, Michael Dean, Jim Dine, Sam Durant, Alberto Garutti, Alfredo Jaar, Hans Josephsohn, Ilya and Emilia Kabakov, Eva Koťátková, Allan McCollum, Iván Navarro, Virginia Overton, Tabor Robak, Tracey Rose, Bernar Venet, Michael Wang and Lawrence Weiner. Parcours engages with Basel’s past and present by weaving artistic interventions into the fabric of the specific location each edition inhabits. This year’s edition will present a ‘human’ or ‘figurative’ stance, says Leuenberger, with artists addressing the relationship to the human body in an ever-more challenging pursuit for individuality and identity. Continuously shifting social political environments produce a tirade of global distress signals, questioning both our self-image and our sense of daily life and purpose. The sector will be open to the public from Monday, June 13, to Sunday, June 19, 2016, culminating in Parcours Night on Saturday, June 18, with special performances, screenings and interactions by Anne Imhof, Eva Kot’átková, Pádraic Moore, Nástio Mosquito, Tracey Rose and Mathilde Rosier. The evening will be organized in collaboration with Basel’s many dynamic arts institutions, including Kunsthalle Basel and Institut Kunst, HGK FHNW, and in partnership with Raw Material Company from Dakar. On Münsterplatz, Sam Durant’s large-scale ‘Labyrinth’ (2015), made of chain-linked fencing material, will be presented by Blum & Poe (Los Angeles, New York, Tokyo), Paula Cooper Gallery (New York) and Sadie Coles HQ (London). Developed during the artist’s year-long collaboration with a group of prisoners at Graterford State Prison near Philadelphia, the installation reflects on the issues of freedom and imprisonment, movement and immobility. Nearby, Hauser & Wirth (Zurich, New York, Los Angeles, London, Somerset) will exhibit a group of 16 sculptures by Hans Josephsohn made between 1951 and 2006. Presented by Basel-based gallery von Bartha (Basel, S-chanf), Bernar Venet’s site-specific project ‘Effondrement:Arcs’ (2016) will seemingly create a sea of debris with steel arcs toppled and piled one on top of the other. Presented by Goodman Gallery (Johannesburg, Cape Town), Galerie Lelong (Paris, New York), Lia Rumma (Milan, Naples), kamel mennour (Paris) and Galerie Thomas Schulte (Berlin), Alfredo Jaar’s ‘The Gift’ (2016) focuses on mass migration in Europe and will be encountered on and around Münsterplatz. In this public intervention, volunteers will distribute blue cardboard boxes, offering them as gifts. Instructions will ask participants to open and re-fold the boxes inside out, turning them into donation-boxes. In the Gymnasium am Münsterplatz, Mai 36 Galerie (Zurich) will present Lawrence Weiner’s ‘MEIN HAUS IST DEIN HAUS DEIN HAUS IST MEIN HAUS WENN DU AUF DEN BODEN SCHEISST GEHT’S AUCH AUF DEINE FÜSSE’ (2014). In the nearby Bau- und Verkehrsdepartement Basel-Stadt, Andrew Dadson’s ‘Black Plant Sunset’ (2016) will fill a room with plants painted black and illuminated by industrial ultraviolet lights. As the plants grow over the course of the exhibition, green will emerge from beneath the black paint. The work will be presented by Galleria Franco Noero (Turin) in cooperation with David Kordansky Gallery (Los Angeles) and RaebervonStenglin (Zurich). Sited outside of the Bau- und Verkehrsdepartement Basel-Stadt, Virginia Overton’s site-specific work ‘Untitled’ (2016), presented by White Cube (London, Hong Kong), will show a dismantled pick up truck. All parts have been taken apart and stacked to construct a carefully balanced assemblage. 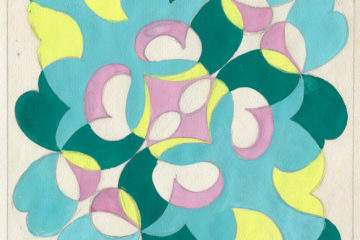 Through the artist’s considered placement of each part, new forms and gestures are created. In Birsigtunnel, the city’s historical sewage tunnel located below the Grand Hotel Les Trois Rois, Iván Navarro’s installation ‘Traffic’ (2015), presented by Galerie Daniel Templon (Paris, Brussels), is made out of seven pairs of traffic lights suspended from the ceiling. Moving like a mobile, the lights will turn from green to yellow to red in a constant loop. By employing the lights in this way, Navarro detaches a ubiquitous element from daily life – the urban outdoor function of the traffic light – and transforms it into a new perpetual experience, igniting an unconscious awareness of something that in ordinary use conditions the public’s psychological behaviour. Presented by Foxy Production (New York), ‘Basler Münster’ (2016) is a site-specific iteration of Michael Wang’s ‘Terroir’ project. This ongoing series involves taking bedrock from specific cities around the world; the rock is then pulverized and becomes the base for a pigment, which is used to create a monochromatic painting. For Parcours, Wang will create a series of new paintings made from stone pigments from the main three locations that supplied building material to the church and the city at large over the course of a thousand years. On Rheinsprung, Michael Dean will present ‘ffff’ (2016), a work to be encountered by chance in the streets; an imitation of abandoned locked bicycles, an italic glyph of a family, presented by Supportico Lopez (Berlin), Mendes Wood DM (São Paulo) and Herald St (London). Placed by the Rhine, Ilya and Emilia Kabakov’s ‘The Toilet on the River’ (1996-2016), presented by Sprovieri (London), is part of a series of utopian projects that emerged from Kabakov’s imagination. Placed within a fashion shop, digital artist Tabor Robak’s ‘Skypad’, (2016), presented by team (gallery, inc.) (New York, Venice (Los Angeles)) and Johan Berggren Gallery (Malmö), is an abstract, single-channel video work. Engaging with the artist’s interest in gaming culture and animation, the image on the screen is constantly in the process of reconstructing itself. Using the stage of the Marionettentheater, Eva Koťátková’s ‘CUTTING THE PUPPETEER`S STRINGS WITH PAPER TEETH (brief history of daydreaming and string control)’ (2016), presented by Meyer Riegger (Berlin, Karlsruhe), explores the state of mind when daydreaming and how in extreme examples of such states the return to reality becomes ever more difficult. Drawing on conspiracy theories and absurdist theatre, Tracey Rose‘s ‘False Flag: A Deed in 2 Acts, Mandela Ball #8, MaterPater’ (2016) expresses two bizarre but interrelated events. Presented by Goodman Gallery (Johannesburg, Cape Town) as an aesthetic puzzle wrapped up in turbulence, the performance by Rose and the drag queen Chris Martin references Cleopatra as well as Diana Ross as Dorothy from ‘The Wiz’. Taking place at the Zivilstandsamt Basel-Stadt, the performance will challenge the audiences’ perceptions of sanity and insanity. Tucked away in a lush private garden close to Wettsteinbrücke will be Alberto Garutti’s ‘The dog shown here belongs to one of the families of Trivero. This work is dedicated to those families and to the people who will sit here and talk about them’ (2009). Presented by Buchmann Galerie (Agra/Lugano, Berlin), Garutti’s work consists of a series of public stone benches on which sculptures of dogs belonging to families in Trivero, Italy. This work was conceived in 2009 for the public art project All’Aperto, promoted by Fondazione Zegna in Trivero (Biella, Italy), where a permanent version is on display. Here they are positioned within a private context, creating a different perspective on the idea of public and private. Sies + Höke (Dusseldorf) will present ‘Coasts’ (2016) by Daniel Gustav Cramer, a sound installation of recordings the artist made over the past ten years. First presented at the Getty Museum in 2008, ‘Muscle and Salt’ (2016) by Jim Dine is an immersive installation in the Antikenmuseum Basel und Sammlung Ludwig, inspired by two forms of classical art: figural sculpture and lyric poetry. For this work, presented by Richard Gray Gallery (Chicago, New York), Dine will position a large, expressionistic self-portrait among roughly hewn figures of Hellenistic dancers or muses within the museum’s permanent collection, accompanied by his handwritten poems covering the surrounding walls. On Monday at 7.30pm, Dine will read from his poems while being accompanied by a double bass player. Presented by Greene Naftali (New York), Gió Marconi (Milan), Société (Berlin) and Vilma Gold (London), Trisha Baga’s ‘MS Orlando’ (2015), a three-dimensional video screened inside of the Naturhistorisches Museum Basel, opens with a disclaimer noting its conversion from dated technologies, thereby presenting itself as a contemporary relic recovered in the projected future. Baga expertly intertwines her material, balancing the comic and the poetic as image and sound synchronize – not causally, but phenomenologically. In the Museum der Kulturen Basel, ‘The Shapes Project: Shapes Spinoffs’ (2005-2016) by Allan McCollum, presented by Galerie Thomas Schulte (Berlin), explores the artist’s preoccupation with the phenomenon of individuality and identity through 100 hand lathed, ash wood sculptures. Parcours Night takes place on Saturday, June 18, from 6pm to 12 midnight. All performances on the evening are free of charge. Available Tuesday through Saturday at 5:30pm, in German and English. For reservations, please visit the Guided Tours desk in Art Basel Hall 1 entrance, the Parcours sector Info Point on Münsterplatz or contact Nicole Reber, +41 76 509 44 45, parcours@artbasel.com. Students (university): CHF 300.-/ € 300. VAT excl. entrance fee not incl. Art Basel stages the world’s premier art shows for Modern and contemporary works, sited in Basel, Miami Beach and Hong Kong. 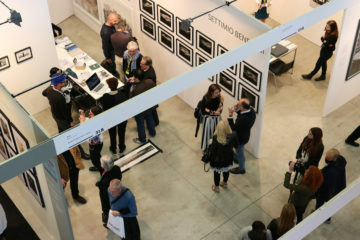 Defined by its host city and region, each show is unique, which is reflected in its participating galleries, artworks presented, and the content of parallel programming produced in collaboration with local institutions for each edition. In addition to ambitious stands featuring leading galleries from around the globe, each show’s singular exhibition sectors spotlight the latest developments in the visual arts, offering visitors new ideas and new inspiration. Online press accreditation is now open. Please note that as of 2016 it will no longer be possible to accredit onsite. Therefore it is important to register online by June 12, 2016. Please visit artbasel.com/accreditation.